Perhaps you have never been to the Hawaiian islands and wonder which island to visit. Or maybe you have been to Hawaii before but wish to go back but don’t know which Hawaiian island to visit. I will give you some guidelines to help you make your decision. Before I get into that, however, I will say that you really can’t go wrong. All of the Hawaiian islands are all pretty awesome and you should visit them all eventually. Each island has its own personality and charm. If you go to that island knowing its strength, you can go knowing what to do and maximize your Hawaiian vacation. One of the first things to consider is how well you handle big crowds. For years, I ruled Hawaii out as a vacation destination because I had the vivid image of shoulder-to-shoulder packed Waikiki beach. It wasn’t until after I had visited some of the different islands that I learned of the more secluded Lanai and Molokai. If big crowds aren’t your thing, then Oahu may not be your best destination. 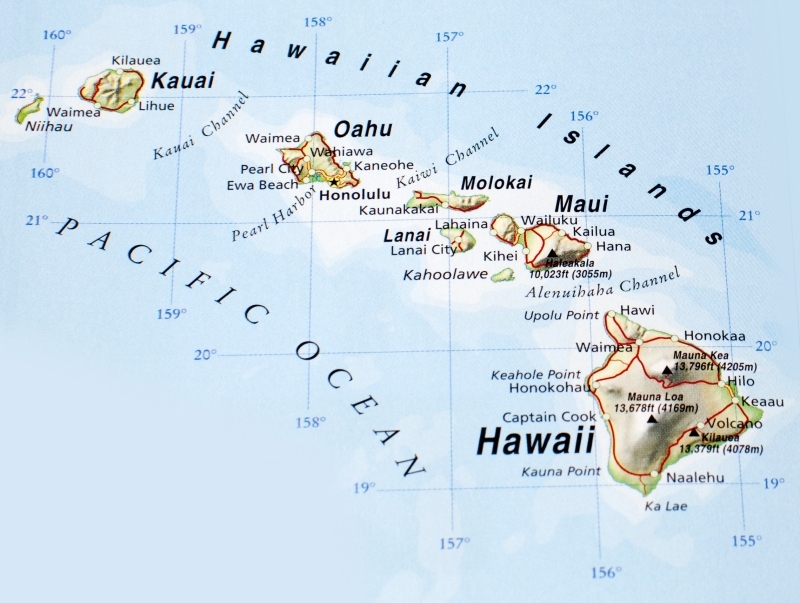 Three quarters of the state of Hawaii live on Oahu. Honalulu and Waikiki beach are busy places. If you need further evidence, go to google images and search for “Waikiki beach.” That will give you an idea of what you would be in for. If nightlife and shopping are your thing, then Oahu may be your ideal island destination. Oahu has other great things to see and do. As you move away from Honalulu, other options open up. Pearl harbor is a pretty amazing place that can be life tranforming once you internalize all that happened there in 1941. You can visit Diamondhead lighthouse, Waimea falls, the Polynesian culture center, or go snorkeling at Hanauma bay. And despite my warning about how busy it can be at Waikiki beach, alot of people love it there–obviously. It is a world famous beach where many movies have been filmed and you just might want to drop by. The most secluded and least visited islands would be Lanai and Molokai. Both islands have far fewer places to stay than the other islands and far fewer vistors. If you want to golf in a tropical paradise, Lanai has two world-class resorts: The Challenge at Manele or the Experience at Koele. Molokai is even less developed and is a good target for the adventurous. On the North shore of Molokai are what are considered to be the worlds tallest sea cliffs climbing 3000 to 4000 feet above the sea. These amazing cliffs served as the borders of the Kalaupapa Leper colony during the 1800’s. Visiting the old leper colony and learning of its history is another sobering experience. Maui is known for its plentiful white sand beaches. If laying on a beach or anything beach related is your major objective, Maui should be a serious contender in your decision. Surfing, wind surfing, boogie boarding, snorkeling and just lazing around can be your main activities. Besides the whites sand beaches, you will find a red sand and a black sand beach on Maui. Other things add to Maui’s appeal. If you would like to watch the humpback whales, Maui is your Hawaiian island to visit but make sure to come between January and March. There is also an inactive volcano that you can drive up and visit. The environment up there is very unlike your tropical paradise down at sea level. If you wish to visit the lush tropical environment on Maui, be sure and drive the Hana Highway which is where you will find most of the waterfalls on the island. And some of the best luaus on the Hawaiian islands are found in Maui. Which specific island is my favorite tends to fluctuate with direction of the wind and the phase of the moon but currently, Kauai is my favorite. Its more laid back than Oahu and Maui and has far less visitors. I think the NaPali coast is one of the most dramatic places on the planet. Because of the Napali coast and a little more inland, Waialeale crater (claimed to be the wettest spot on earth), Kauai has the most exciting helicopter rides of any of the Hawaiian islands. Throw in colorful Waimea canyon, kayaking the Wailua river, the lush green north shore and sunsets at Polihale beach and Kauai is in island that is hard to beat as your vacation destination. Hawaii’s Big Island is probably the most diverse of all the Hawaiian islands. The Big Island has 11 of the world’s 13 climactic zones. It is home to Kilauea, one of the world’s most active volcanoes. Also on the Big Island, you will find a green sand and several black sand beaches along with one of the best beaches on Hawaii, Hapuna beach. If hiking is your interest, the Big Island can keep you busy. And the Big Island is properly named because of its size. There is more to explore on the Big Island than all the others. If you add up the area of all the other Hawaiian islands, the area of the Big Island is greater than that sum. Also, if you measure from the Ocean floor, the Big Island has the tallest mountain in the world, Mauna Kea at 13,796 feet above sea level. At the top of the tallest mountain is one of the worlds largest observatories (Mauna Loa observatory) and largest telescopes. If you are interested in fishing, the Big Island should be on your short list of places to visit as it is considered the sports fishing capital of the world. The final of the Hawaiian Islands is Niihau. Niihau is pretty much off limits. It is inhabited by Hawaiian natives and is not open to tourists without restrictions. 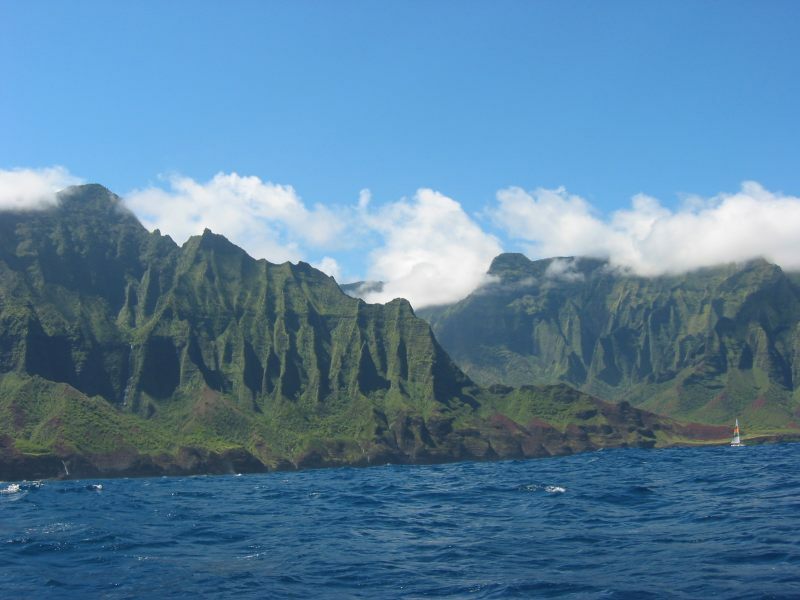 The best way to see Niihau would be to book a helicopter tour from Kauai that takes in Niihau. If you are a hunter, another option would be to book a wild boar hunting trip on the island. You can also book a scuba diving trip there as the island has some of the most amazing reef structures available. As you can see, the Hawaiian Islands have plenty to offer. If you are having trouble deciding between two specific islands, stop now. Go visit one of the two. Then visit the second on your next vacation. Like I said earlier, with each island having so much to offer, it is hard to go wrong. Stop pondering. Go to Hawaii!